26 Dublin Street is perfectly situated in Edinburgh’s vibrant city centre. It is five minutes’ walk from the shops and restaurants in George Street and just a couple more from Edinburgh’s main station at Waverley. 2 Walker Street Located in Edinburgh’s West End, within touching distance of Haymarket Station and even closer to the nearest tram stop. Our elegant boardroom is suited for all occasions. Our beautiful Georgian terrace offers an ideal meeting space in Edinburgh's New Town. It's just a short stroll from Waverley Station and even closer to the tram at St Andrews Square. We have a meeting room at two of our locations - 26 Dublin Street, Edinburgh, EH3 6NN and 2 Walker Street, Edinburgh, EH3 7LB. How long can I book the Meeting Rooms for? As long as you want (depending on availability). The rooms can be booked by the hour, for a morning or afternoon, or for the day.  You can book a meeting room by phone on 0131 332 0909 or email us at "info@kingsfordestates.co.uk". Can I take a look at your meeting rooms before booking? Of course, give us a call on 0131 332 0909 or use our contact page to arrange a viewing and we’ll be happy to show you around. Yes, we offer a selection of teas, coffees and filtered water. Yes, our partner organisations can cater your meeting, please contact us to discuss your requirements. Do you have Conference Call Facilities? We have conference call facilities in our 2 Walker Street meeting room. We do not have a projector in any of our meeting room spaces, however they are equipped with HD TV monitors which can be connected to a laptop via an HDMI cable.